PBSC Bachelor of Applied Science Center — Song + Associates, Inc.
Song + Associates was commissioned to design the first Bachelor of Applied Science Center, for Palm Beach State College’s new undergraduate program - marking its historic transition to a four year Florida State educational institution. The program consists of educational, auxiliary and ancillary facilities designed around the concept of connectivity to other learning environments, global conversation, knowledge resources, and to other learners both formally and informally. 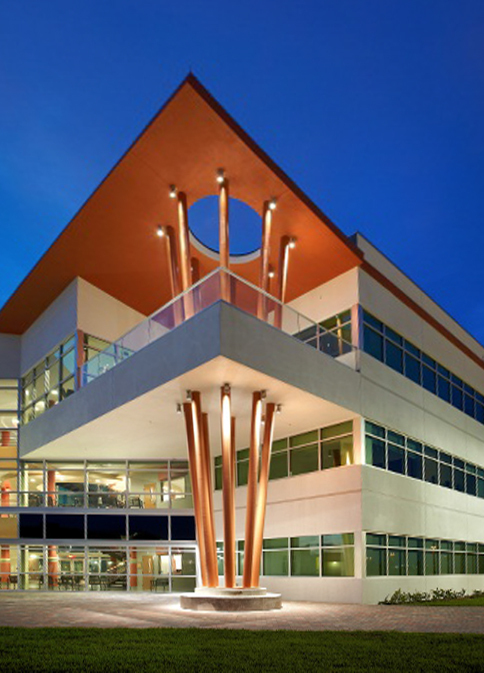 The intent of the design was to provide Palm Beach State College with a signature building that will function as the new cornerstone building to the Lake Worth campus. Behind this 38,500 GSF facility is a beautiful open green space which influenced the design concept of transparency to create a visual connection into the heart of the campus upon arrival from Lake Worth Road. The interior spaces are arranged with a classroom wing to the west and an administrative wing to the east with some overlap of classroom space at the third floor. An outdoor balcony encourages user interaction and provides for more natural sun light into the building. The main circular stairwell in the central lobby bridges the two halves of the building together. 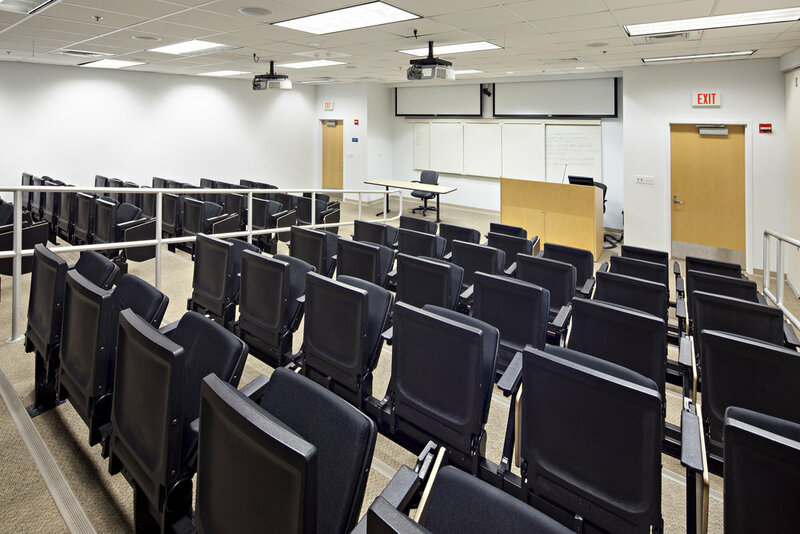 Within the bridge area and the corridor space is a “collaborative breakout zone” which students and faculty can utilize as part of the learning experience outside of the classroom. 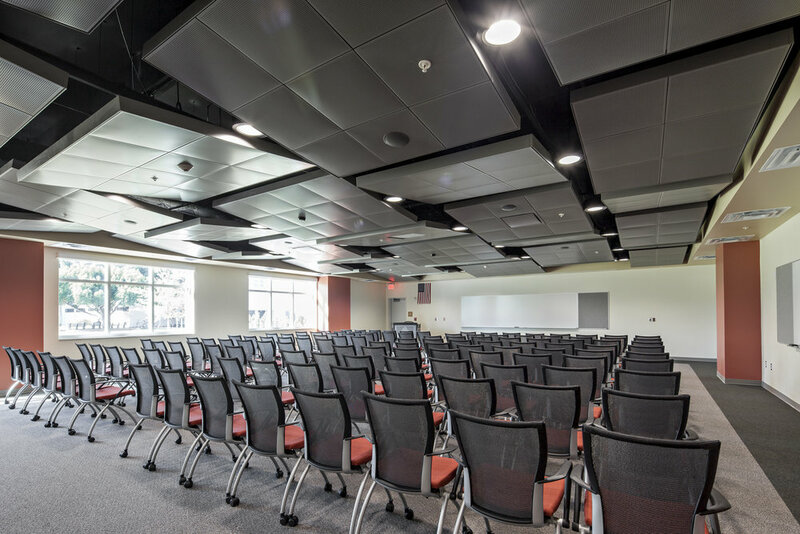 These interior features are key to supporting innovative learning trends influenced by advancing technology.